Execute your strategy using the best Objectives & Key Results software. A complete solution to define Objectives & Key Results (OKRs) at every level of your organization forcing you and your team to think before acting and a comprehensive system to measure progress on predefined frequencies to keep your company running like a well oiled machine towards your company’s goals. 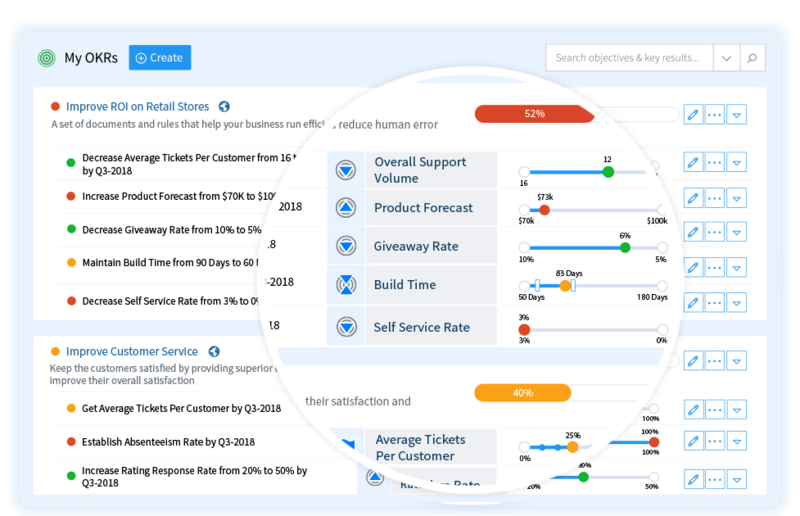 Define your objectives and key results using the most intuitive OKR Software. Use OKR templates to get started quickly. Our goal setting software guides you using a wizard to define your objectives. Check out OKR University if you need guidance on how to formulate your objectives and key results. You can implement top-down or bottom-up OKR planning. While planning, align your OKRs with your Manager’s OKRs. Highly aligned organizations execute with focus. You will change the way you plan, communicate and implement your strategies using the most intuitive activity planning software. 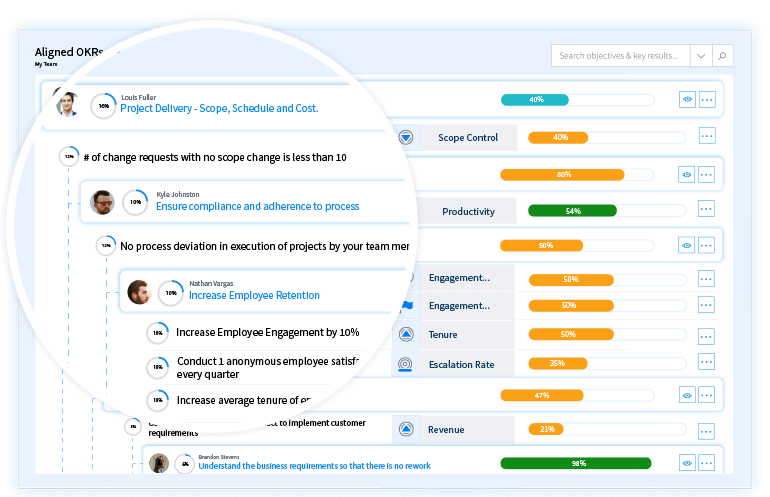 See how all the employees in your team are doing against their objectives and key results using the best goal tracking software. You don’t need multiple status reporting tools. The agenda for your weekly one-on-ones are right here and you’ll know the status with one click of a button. 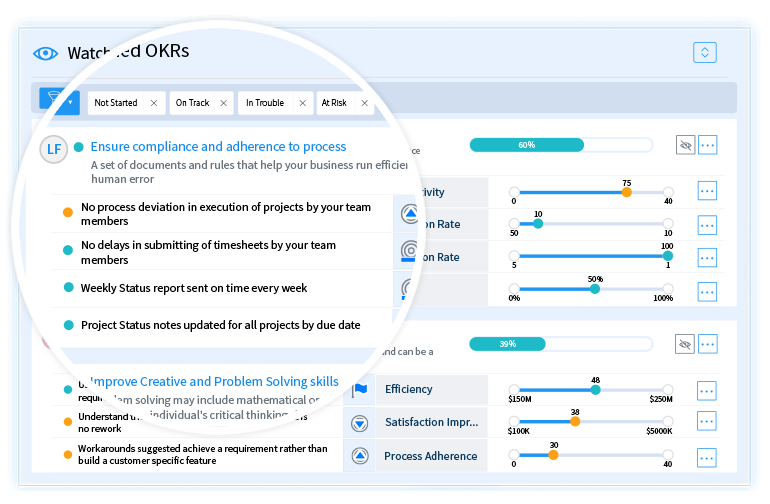 Our OKR Software facilitates a hierarchical view of how your team’s objectives are aligned with your objectives and key results. 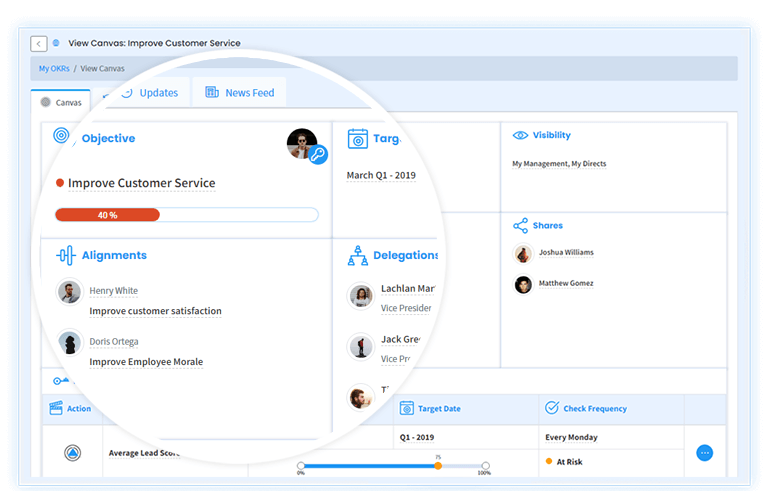 An alignment score makes our goal management software very unique and gives you a clear picture of how aligned your team is with respect to your OKRs. Watch what is critical to you and be on top of those OKRs from across your team. 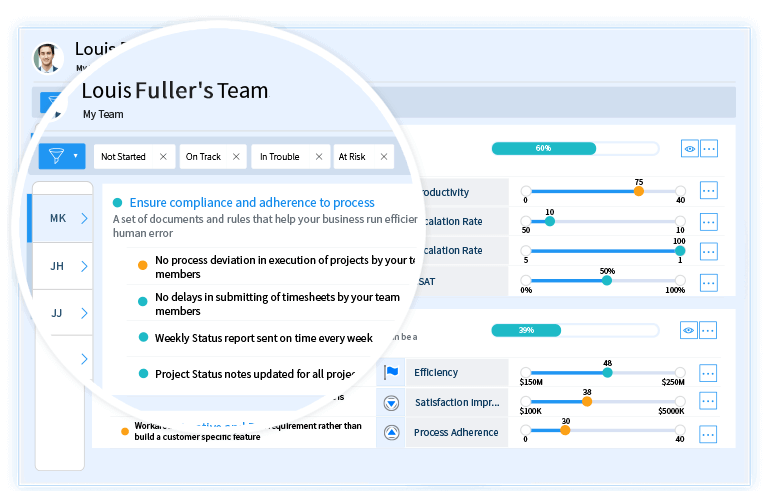 Unlike other status reporting tools, our OKR Software allows to create multiple filters to manage your time effectively and address those need attention right away.